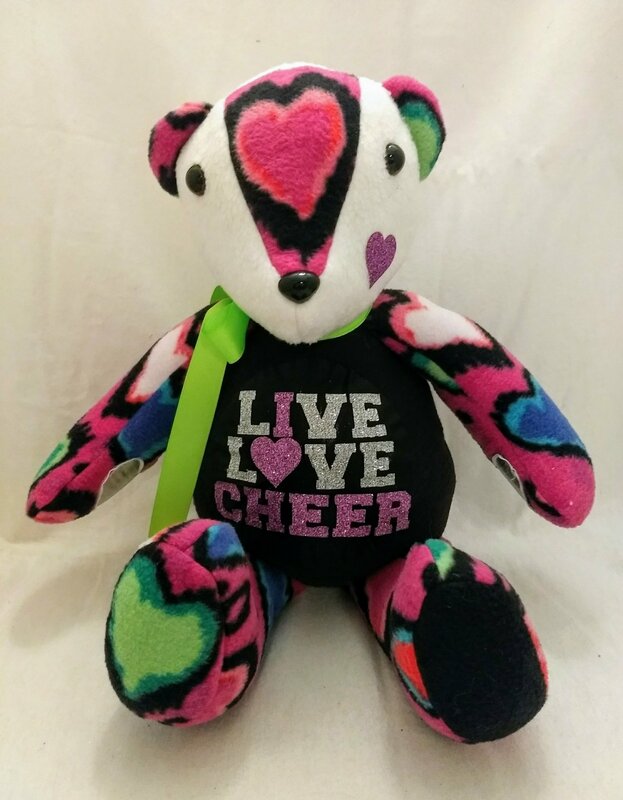 This adorable fleece bear is full of love for the sport of cheerleading. Bear features special heart fleece fabric and live love cheer belly art. Optional cheer bow available for bear's head, just like Spirit Bears.